Two men who were arrested in Lurgan yesterday by police investigating dissident republicans, have been released. The pair, aged 31 and 32, were detained on Wednesday and taken to the PSNI’s Serious Crime Suite where they were questioned as part of a probe into violent dissident republican criminality. They were later freed unconditionally yesterday evening. 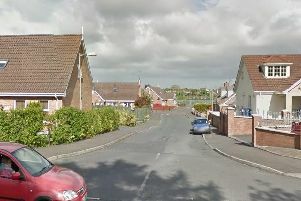 Detective Superintendent Karen Baxter said a search was carried out in the Victoria Gardens area of the town.